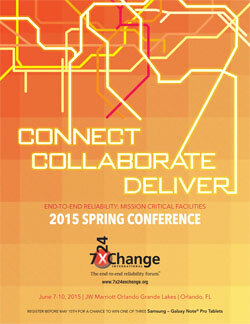 Online Registration is now closed for the Spring 2015 Conference. We would be happy to assist you with your registration on site at the JW Marriott Orlando Grande Lakes, Orlando, FL. There is still space available. However, registrations can be emailed. If you wish to return your registration by email please complete “ONE COPY” of the Registration Form for each individual attendee and return it to accounting@7x24exchange.org … we look forward to greeting you in Orlando. 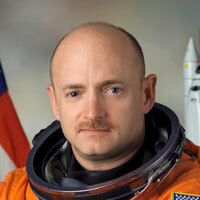 On January 8, 2011, Captain Mark Kelly would face the toughest challenge of his life when an assassination attempt was made on his wife, former Congresswoman Gabrielle Giffords. His dedication to family and Giffords' road to recovery would captivate the nation. For Mark Kelly, focus equals success-even in the face of adversity. Personifying the best of the American spirit, Kelly is a homegrown hero who was a combat pilot in Iraq, an astronaut on four space shuttle missions, and commander of the final flight of Space Shuttle Endeavour. He has combined teamwork, leadership, communication, and family in an unwavering commitment to succeed. Kelly shows audiences how to accomplish their mission while maintaining the love and devotion to family that is the foundation of true success.